Whilst Rayner and Baz go all white. Sinestro decides to pick a fight. Everyone tries to bring back Korugar. But no one really gets too far. Unless Carol and the Squirrel call it a night. Wink-Wink! Well, either 'night', or something cobbled together by the Writer: Tony Bedard; the Artist Andres Guinaldo; and the Publisher: DC Comics, in March, 2013. Using GENERAL terms, answer the following 4 questions about this STORY entitled ''. WHAT'S THE MAIN THRUST OF THIS TALE: After Kyle senses a disturbance in the force, both he and Carol Ferris fly off into space, and attempt to figure out what the Sinestro is going on. ARE THE MAIN OBJECTIVES ACHIEVED: Well, let's just say that Sinestro is no help at all, and neither is anybody else really. ANYTHING ELSE HAPPEN: Star Sapphire gets misty eyed for 24 pages, and everyone wastes half a book failing to resurrect a dead planet. HOW DOES THIS STORY END: With Sinestro running away like a b*tch, and with everyone else doing the 'Alright gang, let’s go stop the bad guys together!' routine. After Sinestro puts on the white ring, it said to him 'Host Unsuitable'. Personally speaking, I see the white ring as an interesting metaphor for this series... because this line says it all. 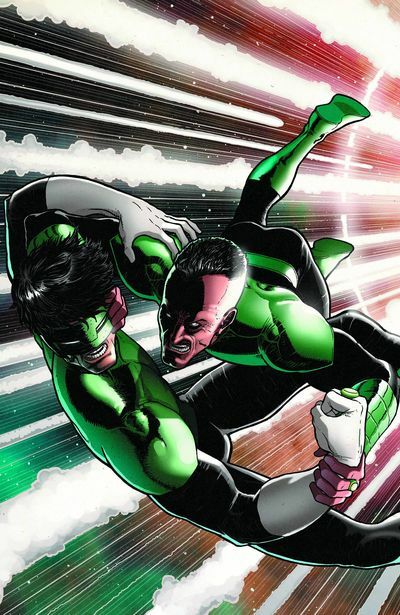 (+) In my opinion Sinestro has been the best written Lantern out of all the New 52 guest stars. (+) Don't you find a Squirrel-Man-Lantern freaking cool? I do. Action figures please, DC. Come on you money grabbers. You know it's going to happen sooner or later. (+) Sinestro going Yellow again! Yes! It's about time! (-) Although Carol was the boss of last issue, for some strange reason she's the dillydally damsel that needs a man 24 / 7 in this issue! What gives? Huh? Was it her time of the month or something? (-) I personally would have liked to have seen something about 'Indigo guy' and Arkillo. Next to Larfleeze, these are the most amusing characters starring in New Guardians. (-) If you think about how everything in this issue would’ve happened even if Kyle never bumped into Sinestro, you begin to realize this issue is practically pointless. KEIRA KNIGHTLEY AS STAR SAPPHIRE: Don't trust those occasional moments of badassery, pal! If you put too much trust in KK, you'll get a faceful of 'Pirates 3' -- filled with boring and predictability. 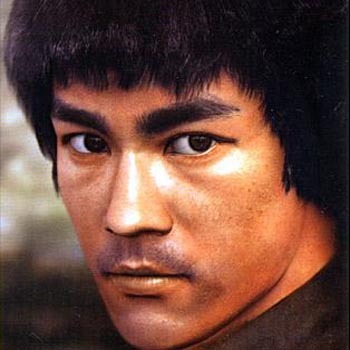 BRUCE LEE AS SINESTRO: Just like Lee in any of his films, Sinestro outclasses everyone around him -- win or lose. They're both in a league of their own. 'I WANT LOVE (STUDIO MIX)' BY AKIRA YAMAOKA: I’m feeling bad for the orange-ish former-but-soon-to-be-new-leader of the yellow lanterns. If you need some emotional music to help you feel the atmosphere the folks in this issue kind of failed to create, then this is some good stuff to get those 'feels'. Yeesh! After praising a lot of the last issue, I was thoroughly disappointed in this one, because nothing stellar took place. Baz, Sinestro, and Kyle pass around a white ring. B’dg and Baz really only turn up to show that Baz’s weird resurrection power isn't some sort of 'God Mode' ability. And Sapphire just bores us with a bland reminder of “I need Hal” and “you can do it, Baz / Kyle!”. Well, outside of showing that space isn't cold enough to freeze a unringed casual dressed Kyle, nothing was ever accomplished. Sinestro is forced in this title. He doesn't really expand outside of some anger that doesn't really satisfy the few times he explodes emotionally in the main Green Lantern series. I honestly feel the only point of this issue was to get some the Lanterns closer together and make sure everyone saw Sinestro grab his Yellow Lantern. GIVE IT, IT'S DUES: If This Issue Was a Sandwich, It Would Be a White Bread BLT. But the Lettuce is Iceberg, the Tomato is Flavourless, the Bacon is That Pre-cooked Stuff Found Already Packaged, and the Havarti Cheese You Added To Give It Any Sort of Flavour, Just Can’t Carry The Whole Thing.